We carry top quality lumber in several different species including non-pressure and pressure-treated. One of the best assortments of A grade redwood in Marin County! We have thousands of live edge wood slabs in a variety of sizes and species. These slabs have been naturally dried to 8-12% moisture content in an enclosed facility. Large selection of ranch and farm supplies including great prices on fencing and troughs. We also carry non-treated rounds for all many organic farms and ranches. For purchases over $1000 we will price match our competitors for the same quality product or give you a $100 gift certificate! We offer free delivery for ranch and building supplies in the West Marin area for purchases over $500. We are a team of locals serving our community. Our job is to serve you and we take that job seriously. Let us help you today! 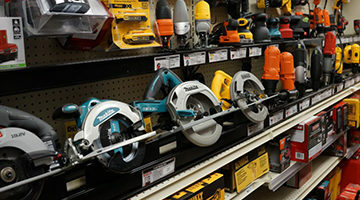 We carry everything you need for a small home repair to an entire home construction. Our product assortment includes bolts, headers, footers, rebar, roofing, Tyvek, and more. We can special order anything custom to support your project and will go out of our way to find unusual materials. From exotic hardwood for your new deck, to 10,000 gallon water tanks, to custom colored metal roofing. 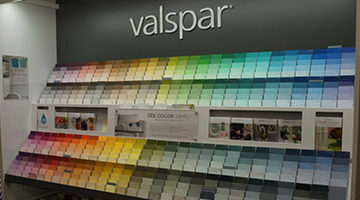 We have a large assortment of Valspar and Clark & Kensington paints as well as interior and exterior stains and finishes. Spend time with our paint consultants to select finishes for your living room or the exterior of your house. Our design studio offers a wide spectrum of color swatches and we can produce a low-cost sample to help you ensure a color is right before committing. We also custom mix colors. Shop our toys and gifts departments for any occasion. 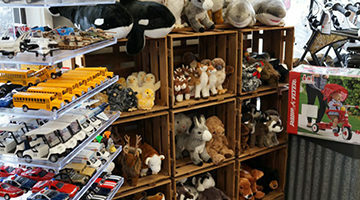 Our selection includes Douglas stuffed animals, Schleich miniatures, mini bikes, electric bikes, sports equipment, board games, and beach games. We also carry local collectibles, wraps, scarves, blankets, Marshall Store apparel, Tomales Bay and Hog Island Oyster Company apparel, mugs, home decor, knick knacks, and greeting cards. We promise to provide exceptional customer service and a full assortment of products for your building and hardware needs. If we don't carry it, we will get it for you. We strive to earn your business with every visit.